Love this rug! I’ll be using this in the new house, probably in my son’s room but it would truly look great anywhere in the home, especially this time of year. And it’s indoor/outdoor so it works anywhere! I have this decorative box and love it. Items like this are always great for gifts especially if you’re giving money or a gift card along with it so you can hide it inside. Love all of the fringe and pom poms on this pillow. It’s sure to be a big hit and neutral enough to go anywhere giving any space a fresh look! I have this basket and absolutely love the texture and unique look of it! Everyone can use a pretty basket and this one is perfect for that! If you know me by now you know I love these planters. Chic gift for anywhere in the home! Love these natural wood and brass trays! Great gift for any home decor lover! This marble and brass tiered tray is a perfect gift for the entertainer and especially for the holidays! I just ordered these white hex bone beads and love them! 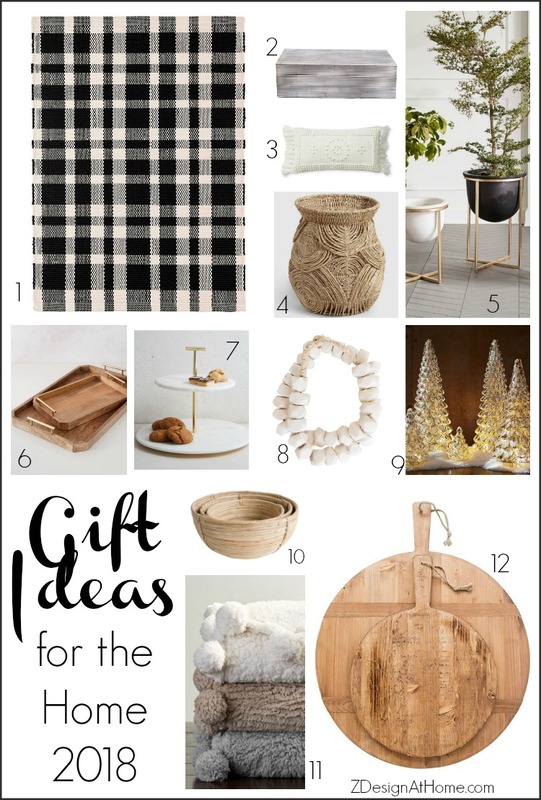 Another great gift for the home decor lover that will go a long way! These mercury glass trees are perfect for the person that loves to decorate for the holidays! I have these rattan circle baskets and absolutely love them for use a fruit bowl or the like. This is a good way to incorporate a trend without over doing it. The price on these super soft pom pom throws is unbelievable! Super great gift that won’t break the bank!! I also have the large bread board/cutting board and absolute adore it. It’s functional and perfect for decorating in the kitchen. Great gift for the cook or decorator! For her…I personally own numbers 5, 7, 8, 9, 10 & 11 and recommend each and every one of them! I wear the long cardigan around the house (I actually have two of them) and I have the blush sweater in two colors (get so many compliments when I wear it). The luggage is the best I’ve ever owned and I love the color. And the diamond studs I literally wear every single day when I’m being casual. Oh and # 5 comes in 2 colors right now but I have the black. Lastly, I recently purchased the small black wallet, which is great for use with a smaller purse or cross body and would make a great for anyone, maybe even yourself! My husband owns every single one of the items for Him. A recent purchase are the air pods, that we both have by the way and both of us love them! He really loves the electric wet/dry shaver and highly recommends all of the shaving products shown here. That back pack has been a staple in his life for a while and he wouldn’t let go of it for dear life (this is a great gift for the manly man)! His favorite brand of shirt is Peter Millar and the Ted Baker socks are a must in his wardrobe. 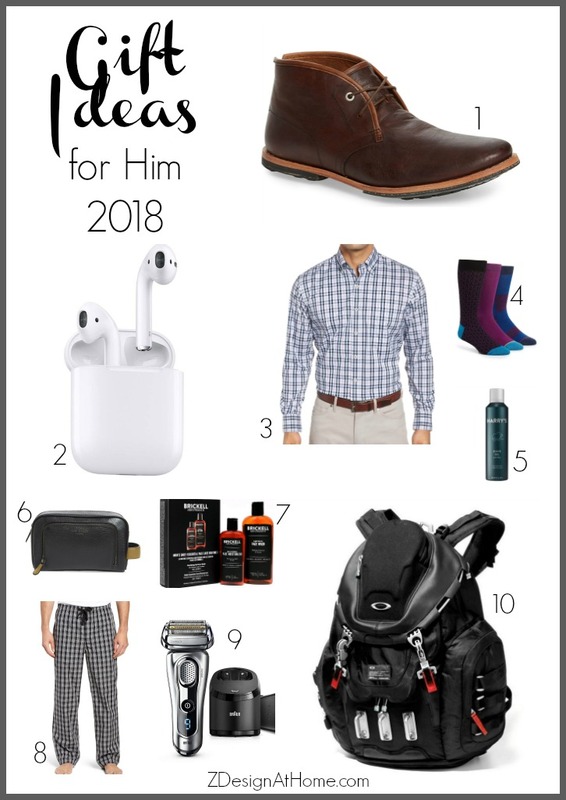 And the chukka boots are an investment shoe but worth every single penny…a great gift for that very special man in your life, especially if you’re trying to elevate his style a bit;)! 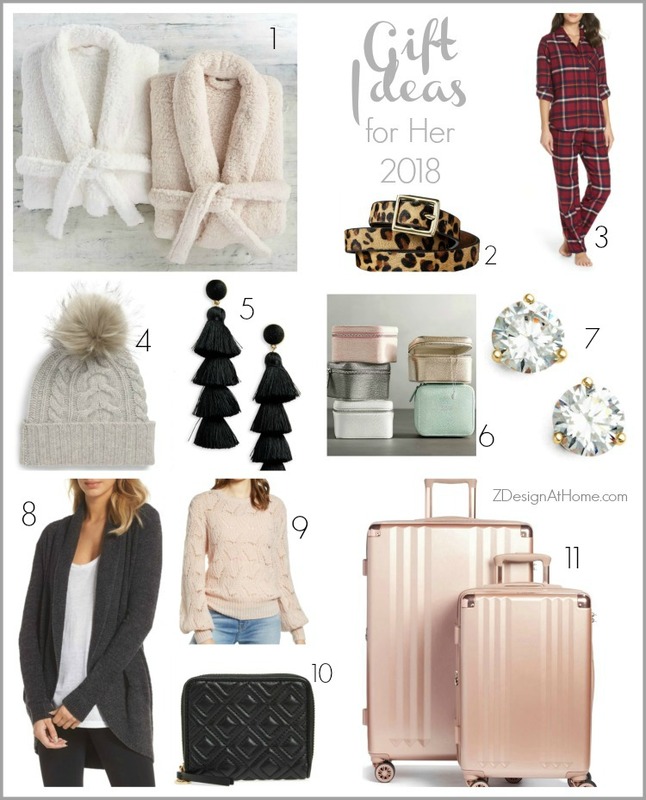 I hope you’ve enjoyed my gift ideas for the home, her and him and that this gift guide was useful! See a comprehensive list of everything below, plus some additional pieces I ether have or have on my list! Happy holidays!